Oh, heck yes. 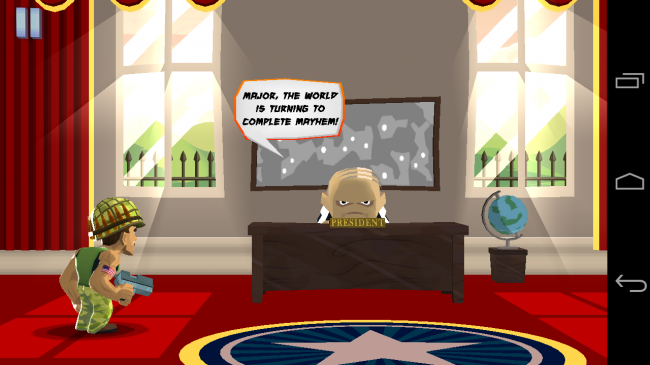 Adult Swim’s Major Mayhem can now be found on Google Play and there is tons of fun to be had. Your job? Save the whole world from total annihilation. How will you do it? A vast assortment of weapons like machine guns, lasers, and bombs. There are 45 different levels for you to fight through and you can even make the Major go through costume changes. The game is free and is worth hours of finger-pointing fun.